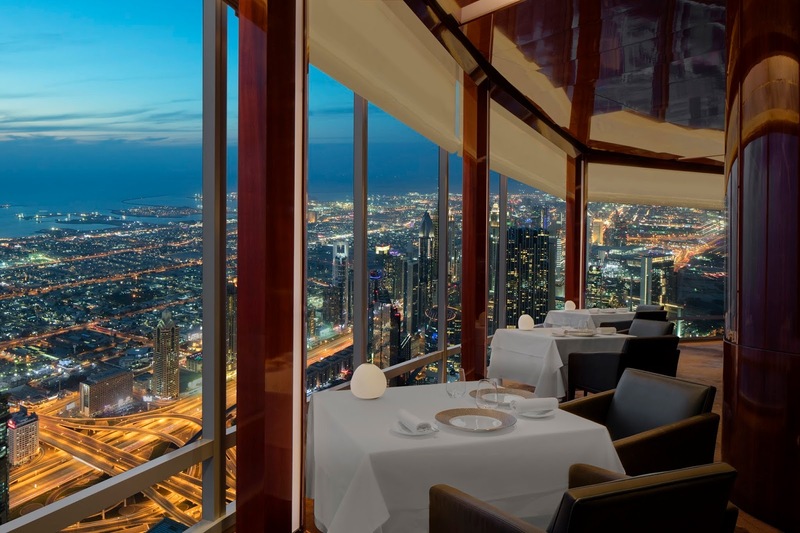 Here's a list of restaurants in random order (both lavish and budget-friendly) offering Ramadan Iftars around Dubai. 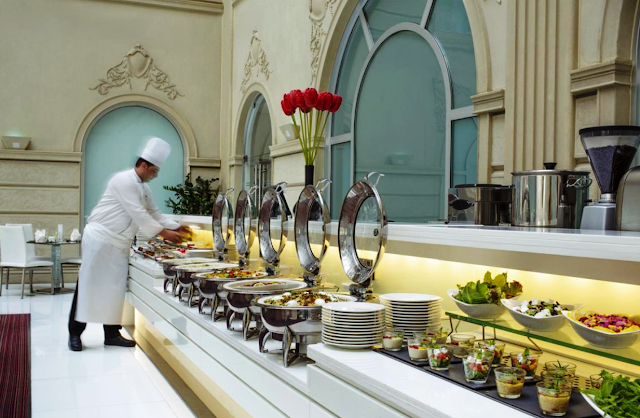 Iftar buffet for AED 139 per person, including soft beverages, with Live Oriental music. Settle down and unwind over Suhour starting from AED 69 per person, with a wide variety of traditional shisha flavors at Liwan Terrace. 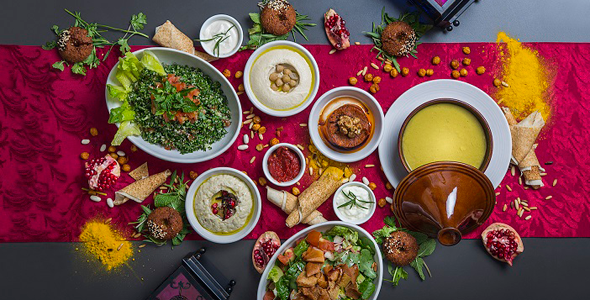 Lebanese and Persian themed Iftar set menu for AED 149 per person. When the sun sets, Master Chef Mama and her team embrace the Holy Month with a variety of exceptional experiences of authentic Arabic dishes combined with her famous Moroccan twist. Batoul Jarmourne also known as “Chef Mama”, was born in 1947 and worked with Princess Lalla Amina in the late 80’s. She personally serves guests and welcomes them throughout the day with the biggest of smiles, carrying the bittersweet nostalgia of a real home-cooking. 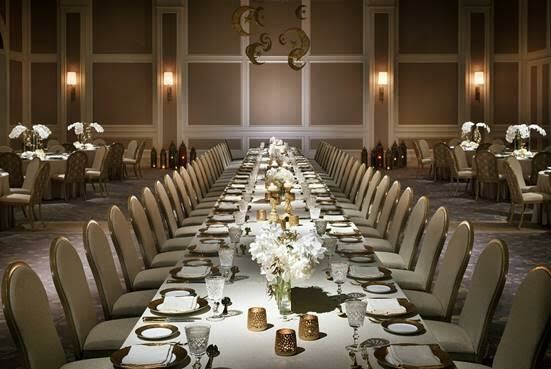 Let our dedicated banquet team create an unforgettable Iftar experience! Book until May 15th and enjoy an Early Bird offer for only AED 119 per person! 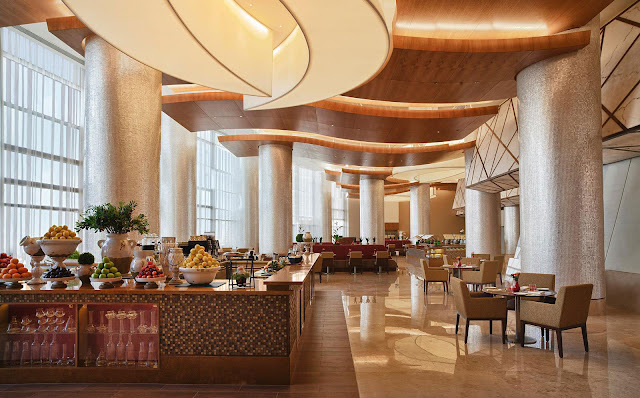 Steigenberger Hotel Business Bay warmly invites guests to share in the breaking of fast with loved ones in the relaxed and picturesque setting of Bayside Restaurant & Terrace, overlooking the calm waters of the Dubai Water Canal. 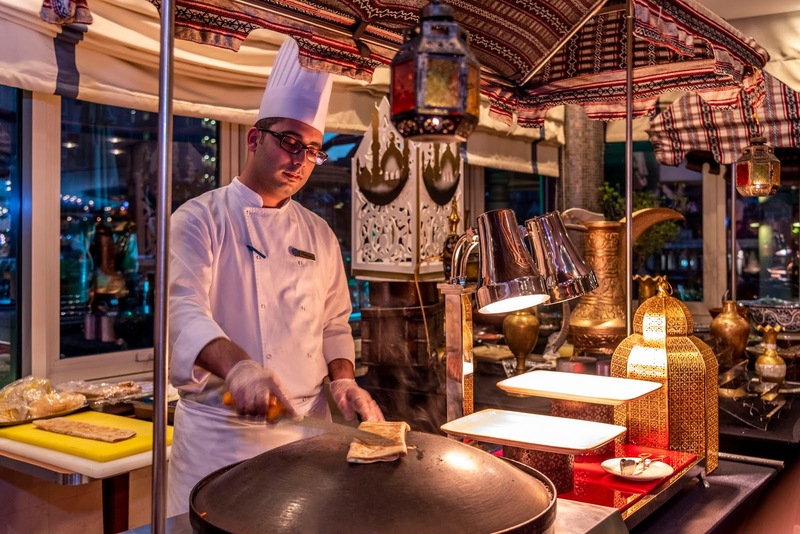 Offering a lavish spread of traditional Arabic favorites along with delicious international fare, the hotel’s new Iftar menu is good for every day of the week, and is served from sunset till 10:30pm, at AED 195 per person. Suhoor will be served at the same venue from 12:00am to 4am, and guests can enjoy the evening under summer skies, with a large selection of shisha on offer. 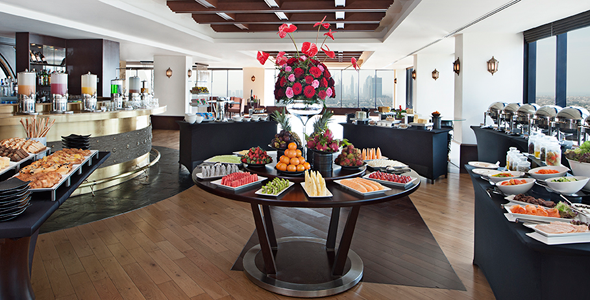 The hotel also accommodates larger groups with menus starting at AED 165 p.p. For bookings booked and confirmed before 10th May an additional 20% discount will be offered. 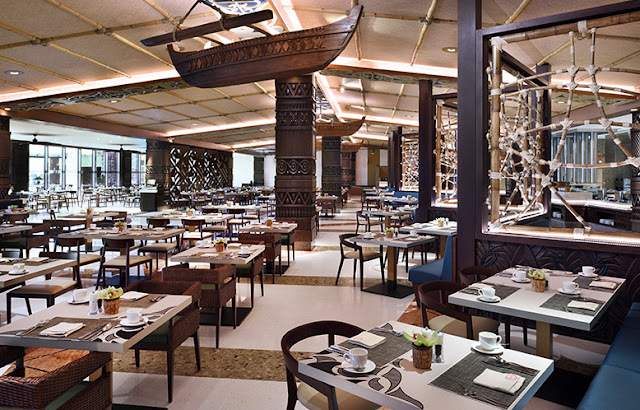 Experience a blend of traditional and innovative dishes at the international iftar buffet with the Polynesian and Arabic-themed décor and family-friendly ambiance of Kalea. For younger guests, a special kids’ buffet will be available with a wide selection of dishes including breaded chicken escalope, grilled fish with lime and cantaloupe salsa and macaroni and cheese. Iftar will be available every day throughout the holy month of Ramadan from sunset to 11:00 pm. Join us at the beautiful Cilantro this Ramadan with family and friends to enjoy a wide selection of traditional favorites, along with a choice of Arabic beverages, juices, and desserts for only AED 146* per person. You can also participate in a daily draw to win an Iftar buffet for two and weekly draw to win a one night stay, inclusive of buffet breakfast. Come as a group of 8 adults or more to avail our special offer of AED 94*. Children are welcome too and will enjoy the Iftar buffet for only AED 58*. For reservations and more information please click here. Awaiting guests this Ramadan at the RODA Al Murooj is the essence of true Emirati hospitality in the relaxed setting of the Pergolas restaurant. Diners will be able to enjoy the finest Arabic cuisine with live cooking stations as well as a variety of international dishes. 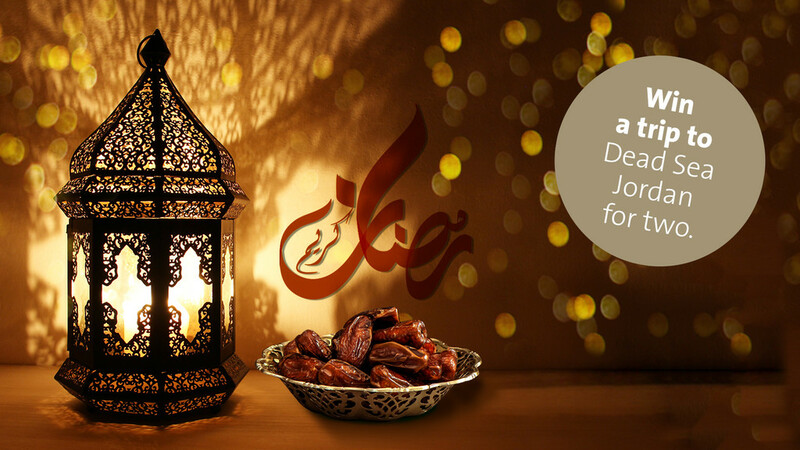 Bring your friends and family to enjoy an extensive Iftar buffet for AED 195 including Ramadan Juices. Enjoy special a la carte Ramadan delights with live Oud music along with large screens to spend your long Ramadan nights in style. Sikka café is known for its warm and welcoming ambiance, accompanied by authentic Emirati décor. The menu offers Arabic, Indian and Iranian cuisine. 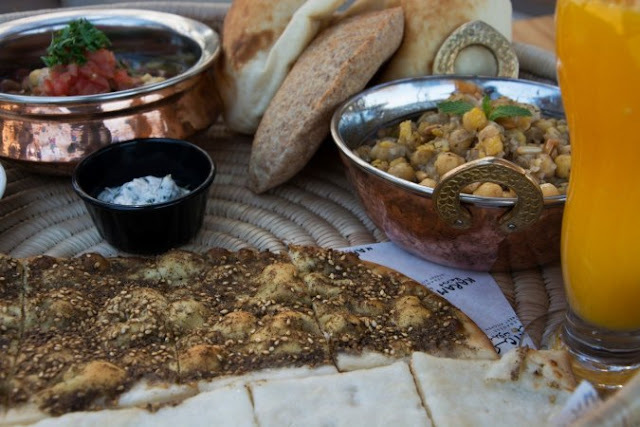 Their famous dishes include Mezze Felafel, Shakshouka and Karak Chai. If you’re looking for the perfect place to break your fast with your near and dear ones this Iftar, Sikka Café will be serving a special Iftar every day, from sunset onwards, for just AED 99 per head. 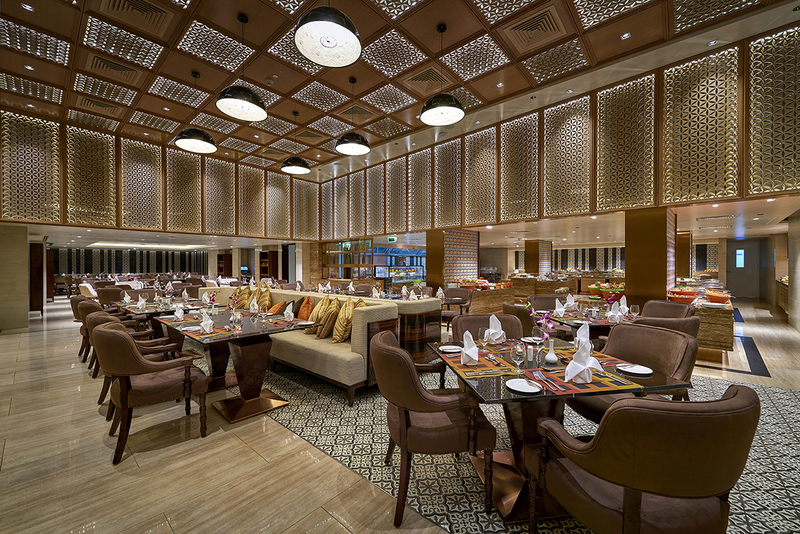 Sikka Café is a must visit for a cozy get together this Ramadan. Come together this Ramadan at Jumeira Rotana and enjoy our Iftar buffet offer with both traditional and International favorites at only AED 99* per person. Or order your in-room Suhour for AED 50* per person. Savor the spirit of Ramadan and celebrate with your loved ones as Siraj welcomes the holy month with rich Iftar and Suhour menus, promising an extraordinary Middle Eastern affair. 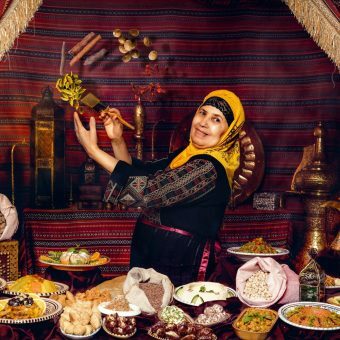 Combining culinary traditions of both Emirati and Levantine origins. 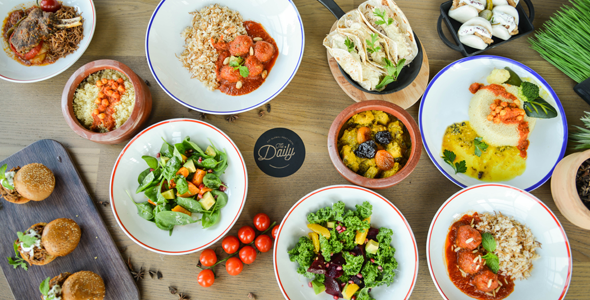 Siraj is offering a carefully curated Iftar set menu that will change each day of the week. A wide variety of shisha flavors and a specially crafted à la carte Suhour menu can also be enjoyed from 10 pm to 2 am every evening. A traditional Arabic experience with staples such as lentil soup, hummus, fattoush, tabbouleh and an assortment of sambousek for appetizers; mixed grills for mains; and a live dessert station with kellaj Ramadan, baklava, kunafa, Umm Ali, and dates and dry fruits. 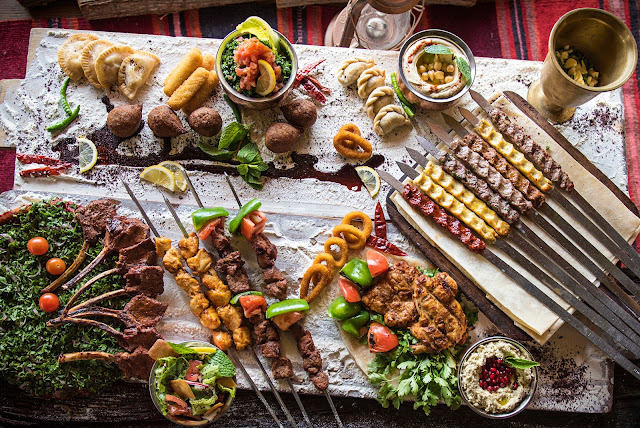 Enjoy Iftar at nosh for AED 139 per person with live cooking stations, ouzi carving, Arabic grills, shawarma, saj, Kunafa, Umm Ali, Baklava and refreshing Ramadan juices. Dine your way to the Dead Sea, Jordan. Dine in #MovenpickJLT during Ramadan and get a chance to win round-trip tickets for two to the Dead Sea, Jordan with five nights’ accommodation inclusive of breakfast at Mövenpick Resort & Spa Dead Sea. Groups of 10 or more and companies can avail special rates. Early Bird: Book before May 15, 2018, and take advantage of our early bird deal offering a special rate of AED 109. Little ones up to 6 years eat for free, while children from 7-12 years get 50% discount. Reem Al Bawadi, one of the UAE’s favorite Middle Eastern restaurants, is welcoming customers to its atmospheric Ramadan Majlis for iftar and suhoor. 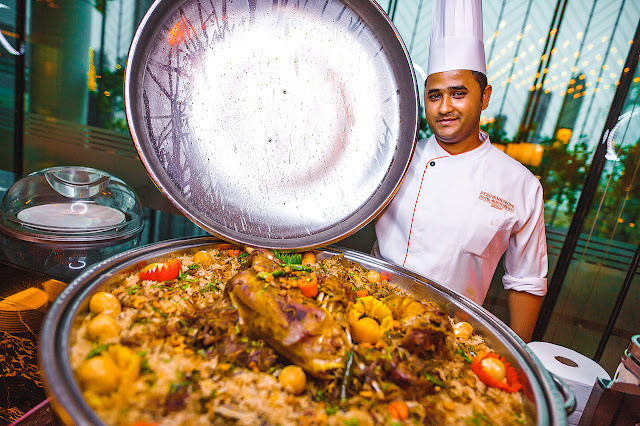 The lavish iftar buffet is priced at just AED 125 per person while suhoor costs only AED 75 per person. Guests are guaranteed an unforgettable experience that lasts well into the night until 3am. During the World Cup, the Ramadan majlis will transform to the RAB FIFA WC Fanzone — a convivial space where guests can watch the matches unfold and support their favorite teams. Customers are welcome at the Fanzone from 12pm until 2am. The Majlis and Fanzone are both located in Reem Al Bawadi - Jumeirah Creekside Hotel. They can seat up to 320 people and a complimentary valet service will also be available. 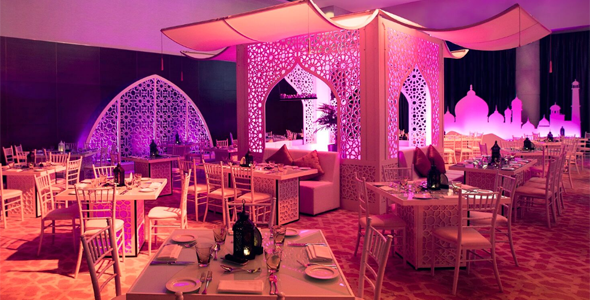 AED 169 per person including special Ramadan Juices and soft drinks. 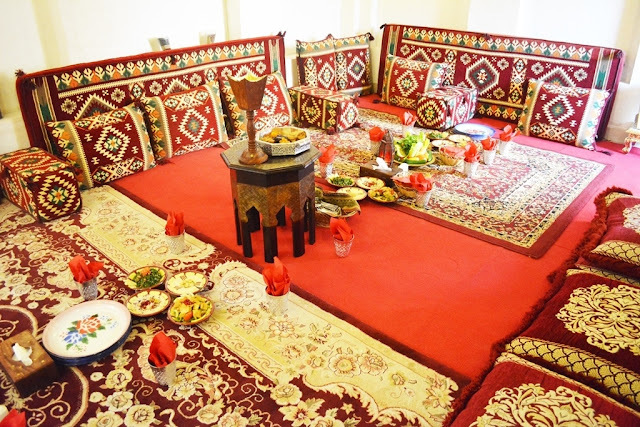 Barjeel Guest House, located at the Heritage Village by the scenic Dubai Creek, invites residents and visitors to experience the best flavors of the Middle East during the Holy Month of Ramadan. Inspired by the timeless Arabian hospitality, discover the tradition of this Holy Month as the culinary team prepares an Iftar set menu featuring a special selection of local favorites to break your fast with your family and friends for AED115 per person. 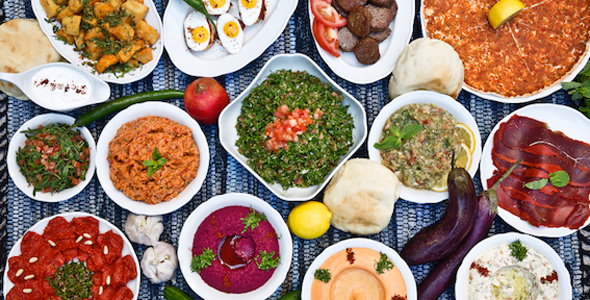 The set menu includes refreshing Emirati Juices such as Kamaradin, Lemon mint; Starter is Falafel, Kibbeh, Fatayer; Cold appetizers are Hummus, Babaganoush, and Tabouleh; Lentil Soup and the Main Course is a choice of Oriental Mixed Grill served with roasted chicken and Ouzi rice and Vegetable Salonah or Chicken Salonah and end your meal with Fresh Cut Fruit, Loqimat, and Mamoul for dessert. 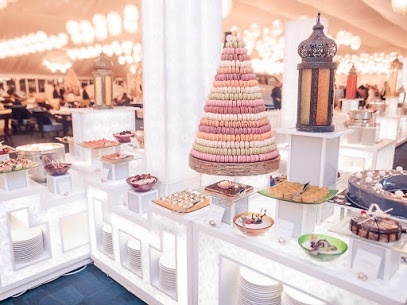 Enjoy our decadent Grand Iftar buffet featuring traditional Middle Eastern cuisine and international dishes from our live cooking stations accompanied by customary hot and cold Ramadan beverages. One of the best this city has to offer! AED210 per person including soft drinks.AED105 per child aged 6-12; children under the age of six dine for free. For reservations, please call 04 317 2222. 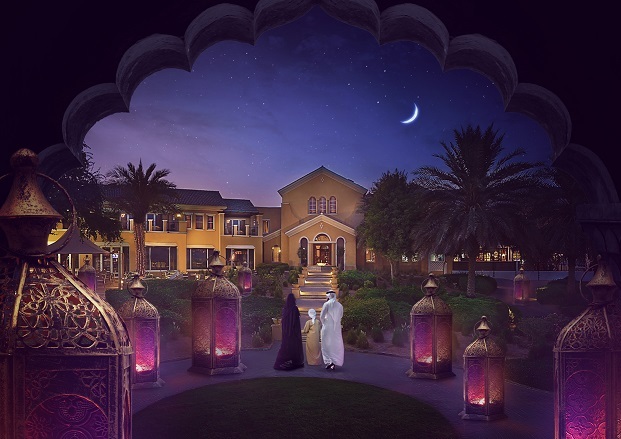 A family-friendly destination offering stunning views of the lake and fairways, Ranches Restaurant serves an Iftar that will warm the heart and satisfy the palate. Savor Arabic delicacies amidst the features fresh, light and contemporary interiors and enjoy a specially created menu of international dishes served especially through the blessed month. 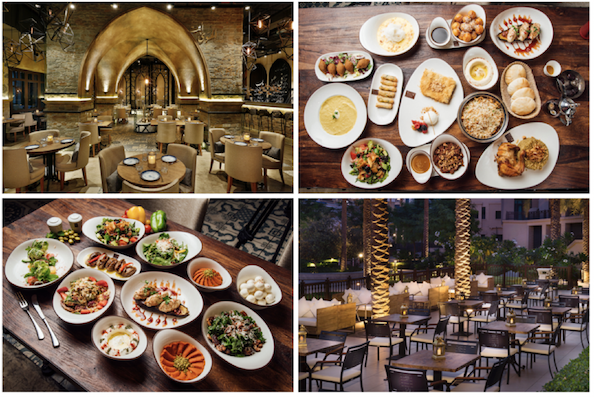 As one of the vibrant hospitality destinations in the heart of Downtown Dubai, Address Boulevard is the ideal location to experience a memorable Iftar over a long communal table with the company of friends, colleagues and loved ones. 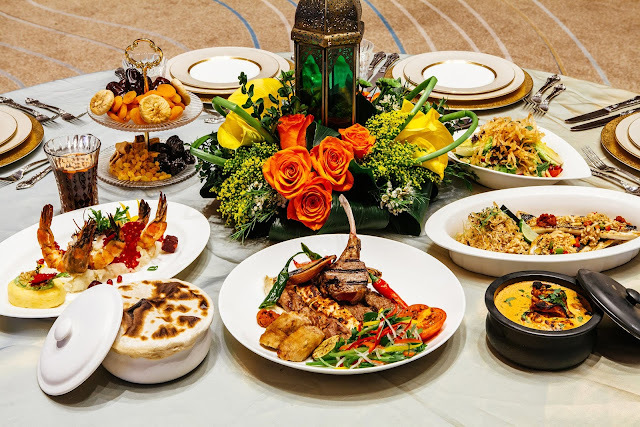 Break your fast at the Millennium Airport Hotel Dubai with a lavish traditional Iftar buffet at Loumi restaurant featuring an extensive selection of Arabic and International dishes along with a variety of desserts and beverages. For those craving Italian flavors, the award-winning Da Vinci’s is the place to be offering a special Iftar set menu with a tempting mix of exquisite Italian and Middle Eastern delights. The huge Constellation Ballroom is transformed into a modern Arabesque space which seats up to 420 people, with a wide selection of seasonal favorites on offer, an international buffet and live oud player. 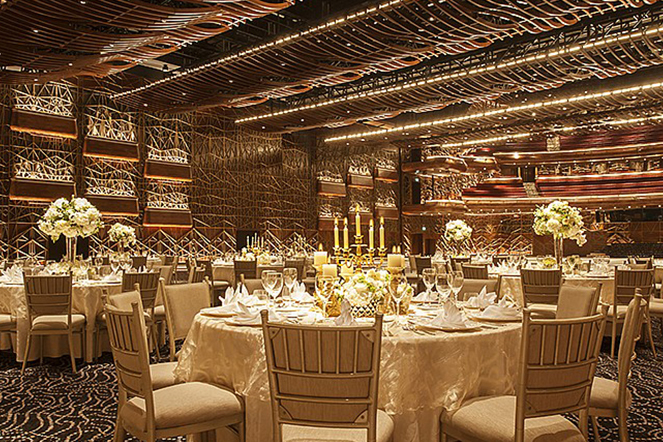 The iconic Dubai Opera will transform into a magnificent banquet hall, where friends, family, and colleagues can come together to relish an unforgettable iftar. The award-winning Sean Connolly at Dubai Opera is in charge of the spread. 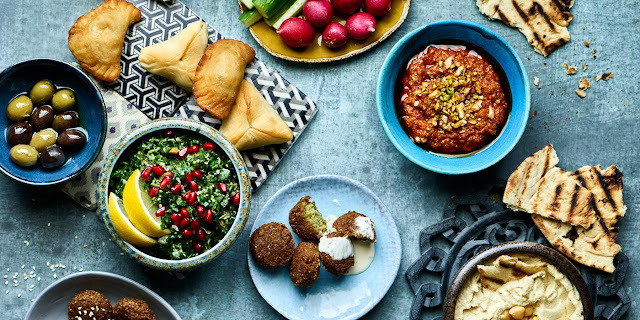 Special dishes include sustainable hammour prepared in a shakshuka style, slow-cooked beef cheek, whole roast duck and chicken, salmon en croûte and a trio of changing biryanis – sure to surprise and delight even the most seasoned of iftar goers. 250AED per person. Kids 6 to 11 years old receive a 50% discount. Kids under 6 dine for free. Corporate rates are available for groups of 11 or more, and private majlis seating areas are bookable through ramadan@dubaiopera.com. The timings: From sunset to 9.30pm daily throughout Ramadan. This stylish Lebanese-Armenian restaurant is known for its generous portions, so expect good things from their iftar set menu. 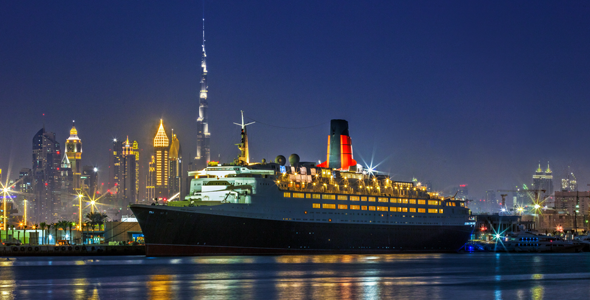 The world-famous QE2 cruise ship is hosting its first floating iftar and suhoor. A purpose-built (and air-conditioned) Majlis will be set up on the ship’s largest deck, housing an Arabic buffet including live cooking stations, traditional Emirati dishes, mezze, desserts and classic Ramadan juices. With every purchase of a full price iftar at Rove, you’ll receive a voucher worth an additional iftar, which you can use yourself or pass on to a friend or family member. Alternatively, you can deposit your voucher inside a special box showcasing art by Mawaheb, a Dubai-based studio that works with people of determination. The vouchers will then be given to the artists and their families. The Daily, Rove City Centre, Rove Trade Centre, Rove Healthcare City, Rove Dubai Marina, daily from sunset.